Manton Lodge high quality self catering Rutland. Welcome to Manton Lodge Self-Catering! We offer two tranquil, modern and comfortable self-catering apartments, in the heart of rural Rutland. Located in the southern wing of an 18th century ironstone farmhouse – and updated for 2018 – the apartments have their own private entrance, are surrounded by NGS gardens and sit in more than 100 acres of privately owned rolling pasture. The Valley View Apartment on the first floor, sleeps 2 (3) and comprises: a Master suite / sitting area (wih sofa-bed); galley kitchen; and en suite bathroom. It overlooks the gardens and offers sweeping views of the Chater Valley to the south and west. The ground-floor Garden Apartment sleeps 2, and comprises: a Master bedroom; large bathroom; and separate kitchen-diner. The bedroom opens directly onto the southern terrace, and offers wonderful views. The apartments have been updated for 2018 with new fixtures and fittings, and have been renovated throughout. Both can be set up as super-king doubles or as twin bed rooms. A feature of the house is its delightful garden, developed over more than 40 years by the current owners, and open regularly as part of the National Garden Scheme. Guests are invited to explore the terraces and walkways, or just sit and relax on one of the many benches. With a small ornamental pond, specimen trees and a myriad of flowers it’s an oasis of colour and scent, and of course it acts as a haven for birdlife. Manton Lodge offers easy access to Rutland Water with all its amenities. The house is walking distance to Manton village and the Horse & Jockey pub. While nearby are the ancient market towns of Oakham, Uppingham and Stamford, famous for their public schools and stone architecture, and offering plenty to do and see. We hope you enjoy your stay in Rutland – England’s smallest county and best kept secret! Both apartments look directly onto Manton Lodge’s stepped gardens and guests are invited to relax on the terrace or explore the tranquil setting below. They extend to more than an acre of lawns, shrubberies, flowerbeds, walkways, yorkstone terraces and kitchen gardens, with features including specimen trees and shrubs, rose gardens and a pretty ornamental pond with fountain. The gardens have been a labour of love for the present owners, who designed and developed them over the course of more than forty years. They are open regularly for the National Garden Scheme and were recently featured in Rutland Pride magazine. Beyond the gardens, the house is surrounded by more than 100 acres of private pasture grazed by sheep and horses. The landscape rolls down to the little Chator River, a tributary of the River Welland, with views to the Ridlington ridge beyond. Over the past decade several thousand trees have been planted and guests are invited to explore the spinneys around the house. As well as these walks, Rutland Water is easily accessible from the house, either on foot through Manton Village (15 minute walk) or by bicycle. For those with longer legs – or on two wheels – the Rutland Water Bird Centre, the Lyndon Top Nature Reserve and the Osprey Centre are approximately two miles away along the water’s edge. There is ample parking available for cars; also for boats and bicycles on request. Manton Lodge makes an ideal base for exploring the ancient county and its many attractions. Rutland Water, Europe’s largest man-made expanse of water, and famous for its trout fishing, bird-watching, wildlife nature reserves and blue-bell woods, well as facilities for sailing and cycling, is within easy walking distance. The Golf Club is just 5 minutes away with stunning views over Rutland Water. 9 and 18 hole courses, accessible on a pay as you play basis. Other activities that can be enjoyed locally include horse-riding, clay-pigeon shooting and paragliding. Uppingham and Oakham, both charming market towns with a wealth of beautiful architecture and abundant bucolic charm, and each famous for its historic public schools, are just three miles away, while the wonderfully preserved and beautiful Georgian town of Stamford, a popular location for period films and TV shows, is just 10 miles away, sitting in the shadow of Burghley House, one of the finest Elizabethan mansions still in existence. Manton village lies just south of Rutland Water and is a pretty little village with some very charming and quaint ironstone cottages, an unusual and very attractive 12th century church as well as a cosy and thriving pub – the Horse & Jockey – within six minutes’ walk from Manton Lodge. 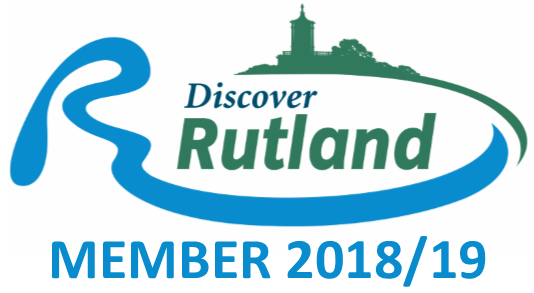 To find out more, please visit our Rutland page. If you would like more information you can Contact Us here. This Apartment is all we could wish for and more for a comfortable stay. Very comfortable stay, beautiful surroundings. ………many thanks for a very relaxing time. We have had a wonderful stay in this beautiful setting. We have enjoyed watching the animals. The gardens are looking stunning. Thank you for everything. Lovely peaceful break. We have had a wonderful time. Comfortable accommodation and beautiful gardens. Thank you very much Caroline, I’m sure we’ll be back. 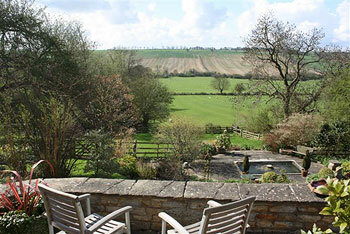 Manton Lodge Farm is an “Idyllic” place to stay! Peaceful and picturesque. The cosy cottage and beautiful garden are in an idealic setting and very well situated to enjoy the Rutland Water Reserve. We enjoyed our stay, the gardens are beautiful and the cottage comfortable and cosy. We thoroughly enjoyed our week here. Gorgeous gardens, loved having breakfast on the terrace overlooking flowers, little fountain and sheep grazing in field beyond. This place is a haven. Thank you so much for making it so Caroline. Another very enjoyable week in your lovely holiday cottage. We hope to be back again next year. Thank you Caroline and family – you always make us feel so welcome. As so many previous guests, we have thoroughly enjoyed staying in this lovely house in such beautiful part of the county. Thank you Caroline for making us so welcome and for all the care and thoughtfulness you give – typified by the two vases of roses. Thank you for a very comfortable stay in the most stunning surroundings! We hope to see you again. Another extremely enjoyable and relaxing stay. A real gem. Love the garden thank you. A most relaxing holiday – beautiful gardens, thank you so much. Lovely time. Fantastic weather, walks and bike rides. Gardens beautiful. The Apartment had everything we needed for a comfortable stay. Lovely location and views. Caroline was lovely! Another relaxing break in lovely surroundings. Already looking forward to next year! As always everything is wonderful. Lucky to have found you. Thanks. A quiet oasis of peace. What a gem! Everything is so beautiful and there is the most amazing peace here. Peace and tranquillity, lovely setting and beautiful garden. The farm nestles so comfortably into the hillside with views across the valley. We enjoyed the beautiful garden here and particularly the warm welcome atmosphere. We had a glorious time here in Manton and at your beautiful country house, splendid views, gardens and accommodation – all with a smile.